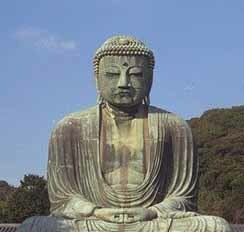 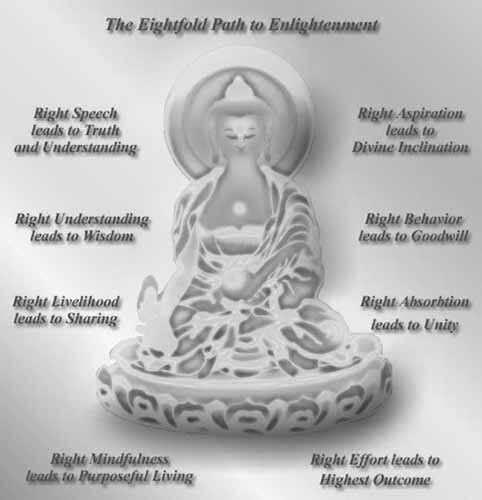 Buddha was born around 565 B.C. 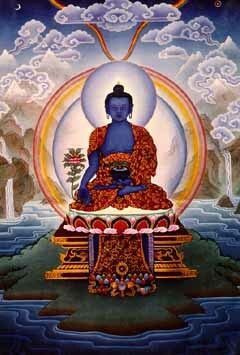 in Lumbini Park in the city of Kapilavastu in the ancient northern India, today's Nepal. 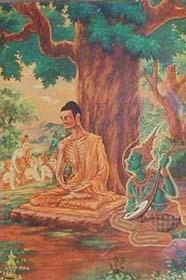 His name 'Siddhattha Gautama,' means 'descendant of Gotama whose aims are achieved/who is efficacious in achieving aims', he later became the Buddha (literally Enlightened One or Awakened One). 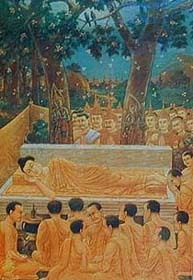 He is also commonly known as 'Shakyamuni' or 'Sakyamuni' (lit. 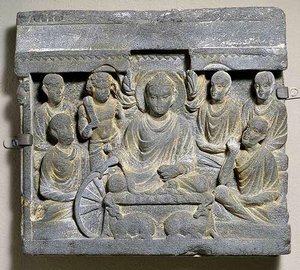 "The sage of the Shakya clan") and as the Tathagata (lit. 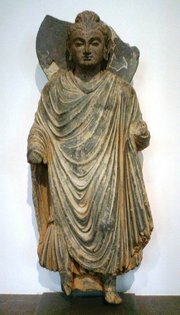 "thus come" or "thus gone"). 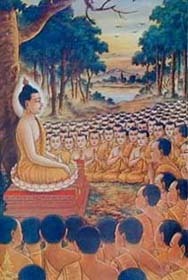 Gautama was a contemporary of Mahavira. 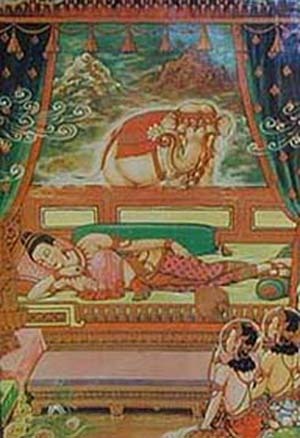 of a white elephant presenting her with a lotus flower. 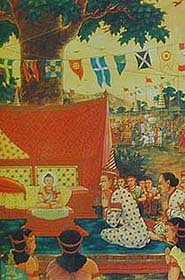 Departing from the palace and the wearing rags, the prince chose to become a Samana. 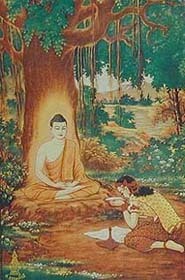 Soon thereafter, a young woman offered the future Buddha a bowl of rice and milk. 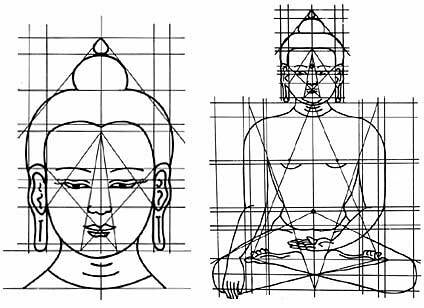 He accepted it, restored his strength, and began his practice anew. 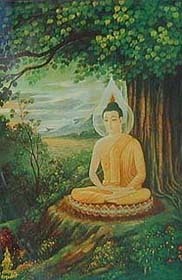 He sat under the shade of a pippala tree (now called a Bodhi tree) determined not to rise until fully enlightened. 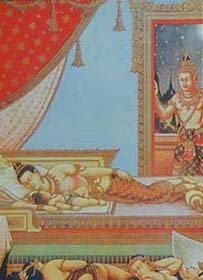 He accepted a bowl of milk from a maid Sugata. 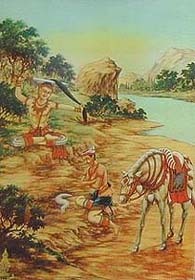 He ate and gradually recovered his strength. 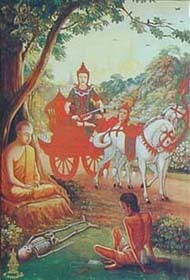 Soon he realized the 4 Noble Truths and the secret to true peace and happiness. 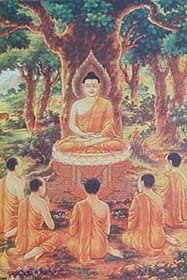 This engraving depicts the Buddha's first sermon, which according to the Dhammacakka Pavattana Sutta took place in the Deer Park at Sarnath in northern India.